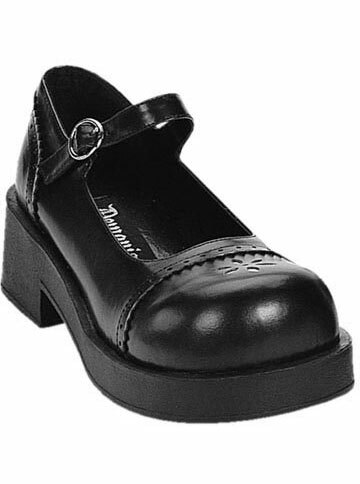 These adorable Mary Jane style platform shoes have a 2 inch heel with an adjustable buckle strap. 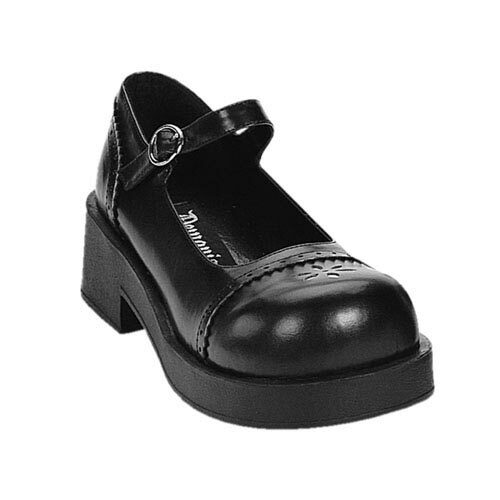 The front of the toe has a daisy style cutout and pinking with perforations on the seams. Made by Demonia.